Here’s a fun and intriguing game: think of two words that begin with the same letter, are similar in meaning, yet have subtle differences. There are many word pairs that work for this exercise. The words I’m using here, response and reaction, fit these requirements perfectly. Imagine any scenario between two people, or groups of people. The scenario has some element of conflict. Maybe conflict is too strong a word…maybe in the scene there is just a difference of opinion. One person or group speaks or acts, and the other responds. What type of interaction do you see? I see a calm and measured exchange, a respectful and healthy exchange. Change the word describing the scene to “react” and there is a shift in interpretation. Now the second person or group is not so calm. There is a hint of acting out of instinct, of acting from the gut. In fact, you frequently hear the phrase “gut reaction” to describe a swift and automatic volley of speech or action. In life, there is a time for both response and reaction. If you are having a discussion, you most likely prefer a response to your statement. If you face an emergency, you react, hopefully swiftly, and probably instinctively. So in conversations at home or at work, in encounters in line at the grocery or a parent-teacher conference, or more importantly, with a spouse or your child, choose carefully. Does the situation require a response? Or do you need to react? Have you mixed the two scenarios? Reacted when you should have responded? Or maybe, responded when you should have reacted? We can usually determine when we over-react. But it can be just as detrimental to under-react. 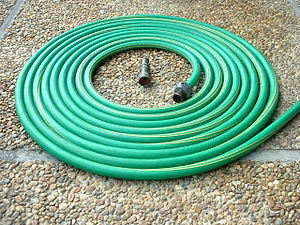 If my house is on fire, I don’t need a garden hose, I need a fire-engine. So either responding or reacting can be appropriate. And either approach can be wrong. My life coach and I were discussing this recently, and credit goes to her for this word pairing. Challenge yourself to think of other examples. The English language is full of these. Some pairings follow this pattern, and other words begin with the same letter but are opposite in meaning. The helpful part of the game is that when you pair words and consider the differences in meaning, you begin to consider how you display these meanings in your life. It’s an awareness check, and this is a tool. Change the declaration describing the area to “react” and at hand is a change in interpretation. Now the 2d being or agency is not so calm. There is a air of impermanent down of instinct, of impermanent from the gut. In fact, you a lot comprehend the expression “gut reaction” to characterize a fast and computerized burst of address or action. Thank you for reading and for your thoughtful comment! I appreciate your insight! Keep up the great, challenging work!! We are need to give ourselves permission to “pause” and reflect on the meaning of our life! Hey, thanks for the inspiration! Saw you posted the quote I sent on your fb page today. I’ll send, you post…we’ll talk about a plan after Lithuania!